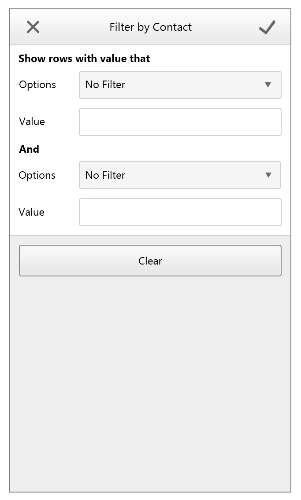 The following article outlines the settings that are available for the columns in RadGrid when RenderMode is set to Mobile. 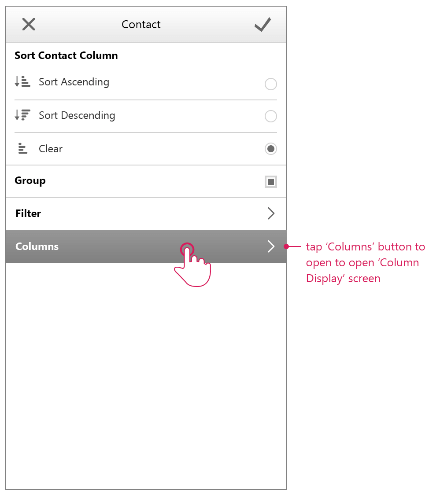 The column settings are accessed by tapping the settings icon. 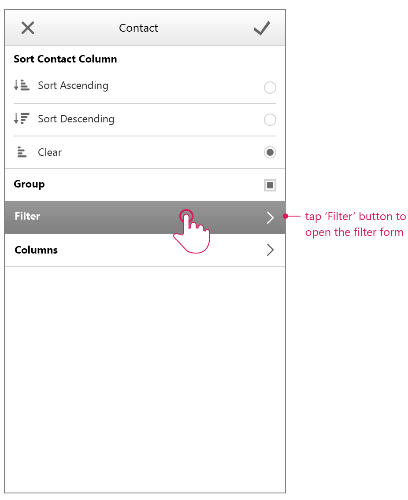 When you tap on the settings icon in a column header, you will see the settings for the corresponding column. 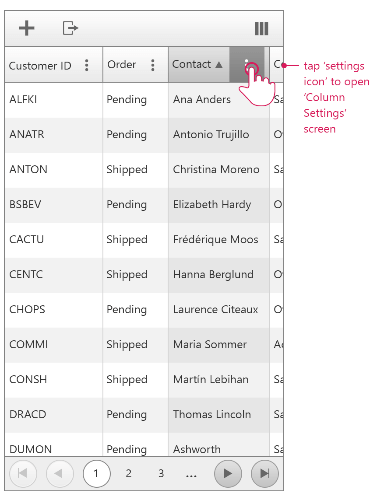 You can sort, group, add filter, show/hide or rearrange columns. When you tap on the Columns setting you open the Column Display options. 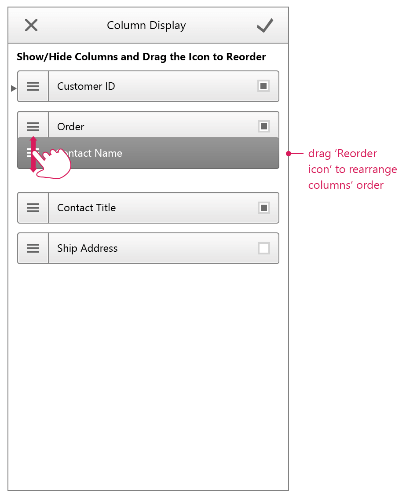 The Column Display options enable you to show, hide or rearrange the columns.